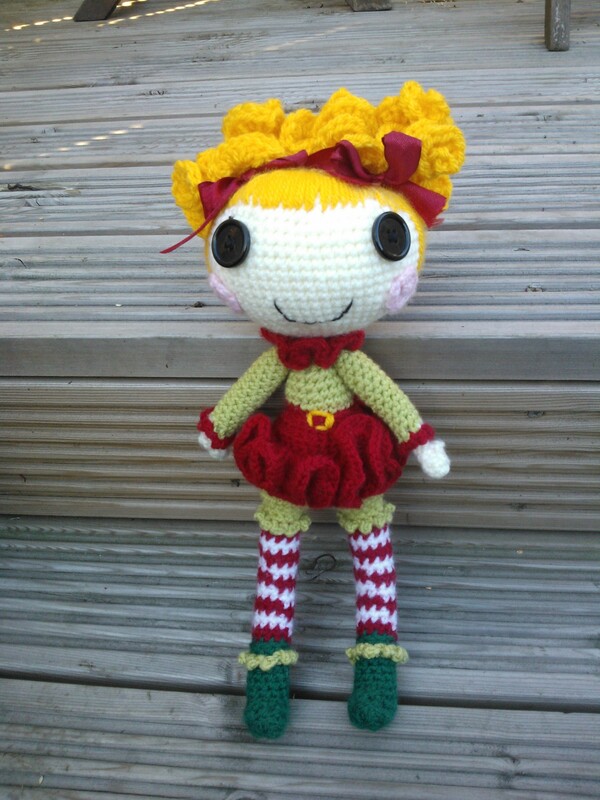 A couple of weeks ago a lady contacted me via my new facebook page asking if I could crochet Holly Sleigh Bell for her daughter as she could only find the doll to buy in the U.S.
Now I’ve never heard of Holly Sleigh Bell, and I’ve not even heard of Lalaloopsy – but I have now. I searched the inernet for a free crochet pattern to use but couldn’t find anything so I found a doll that looked a similar shape – which as it happens when I started to make it was nothing like what I wanted but I was able to use it for the boots, stockings, head and arms. Everything else I had to make up myself which was a first for me as I’ve not really made anything without a pattern. 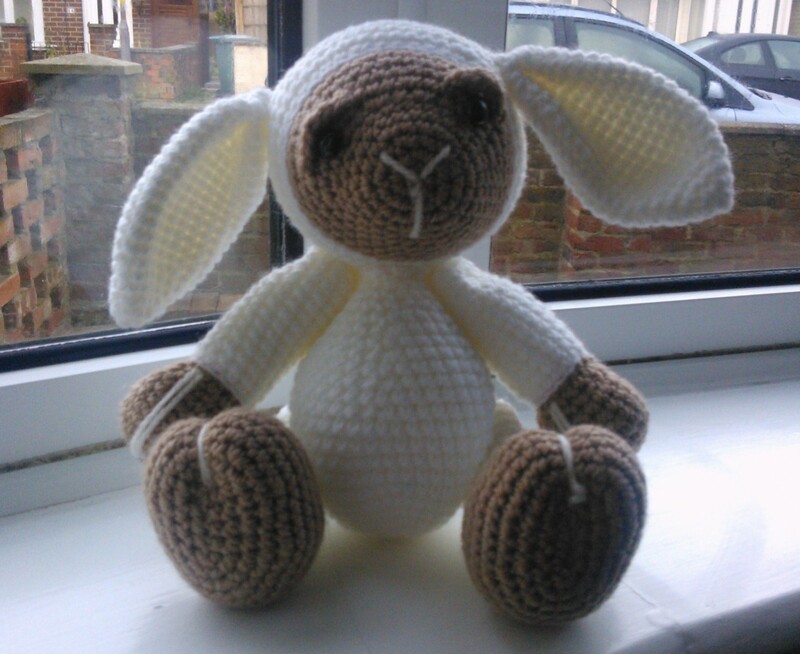 After about 18 hours of on and off crocheting Holly was finally finished. She was picked up today and I’m told that she was very greatly received. I’m was over the moon – children can be the best and worst critics. And as I’d never made one before and it had to be quite specific an over the moon comment was the best compliment I could have received.